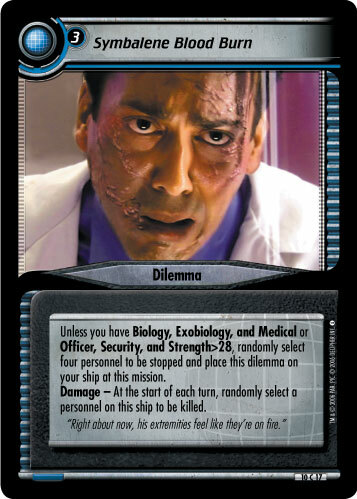 Unless you have 2 Diplomacy and Leadership or Programming, Science, and Transporters, your opponent places this dilemma on one of your completed missions. 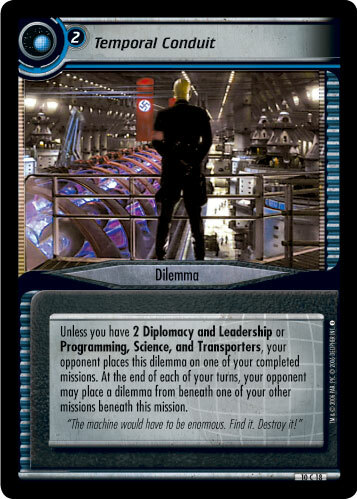 At the end of each of your turns, your opponent may place a dilemma from beneath one of your other missions beneath this mission. "The machine would have to be enormous. Find it. Destroy it!" 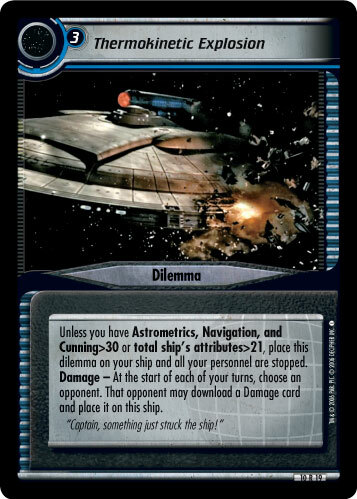 Image Source: Enterprise: "Storm Front, Part I"